The premium brand WMF has been in kitchens for 160 years now. And it has also had its own small appliance division since 2011: WMF CE (Consumer Electronics). psbrands has been there with them from the outset, establishing the brand across various media and growing together with the customer. 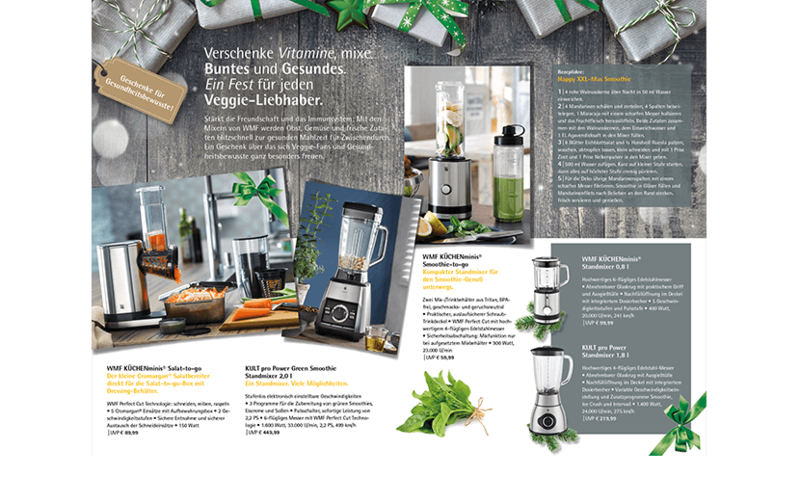 With success: WMF CE is today an elementary part of the group, with new product lines added every year. 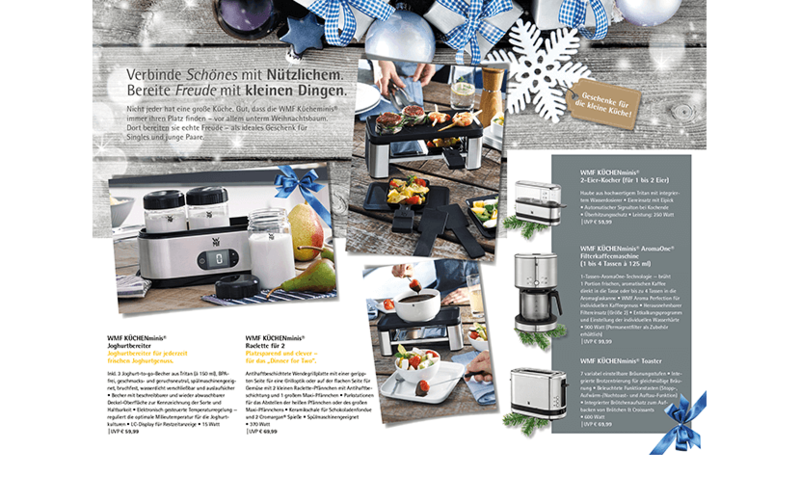 Our goal: to combine lifestyle communication with the WMF design claim. 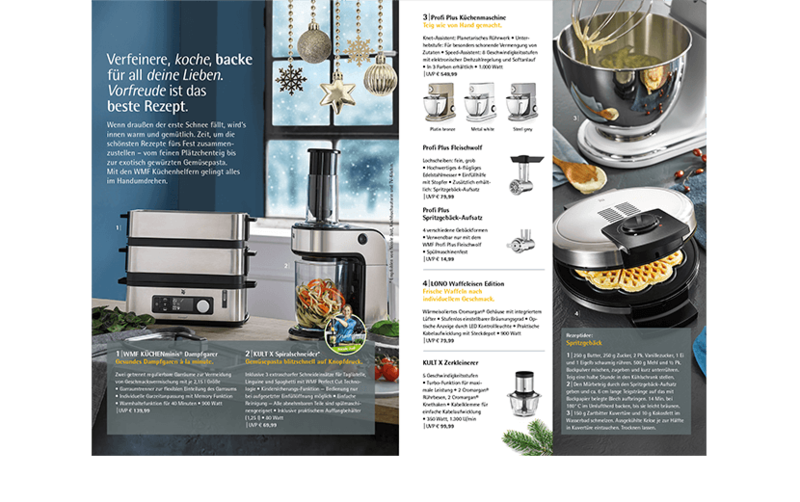 Emotive staging to launch and announce the new WMF KITCHENminis® at IFA 2016. 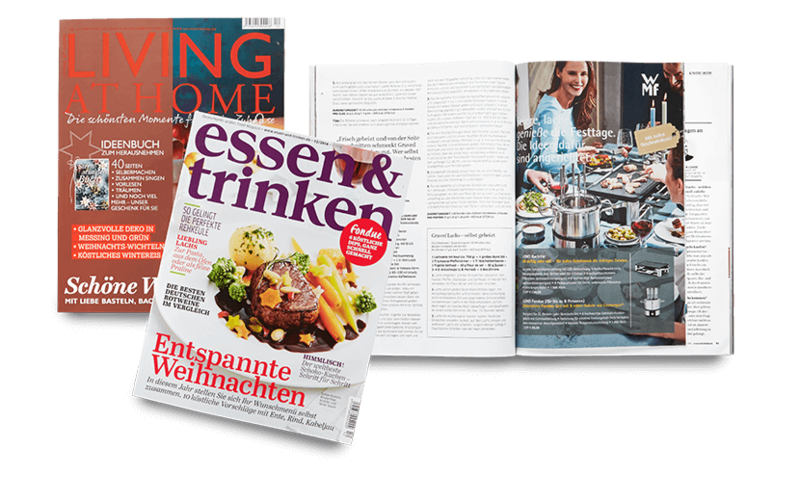 Nationwide supplement campaign for the Christmas product line in target-group-relevant, high-circulation magazines with over 25 million contacts. 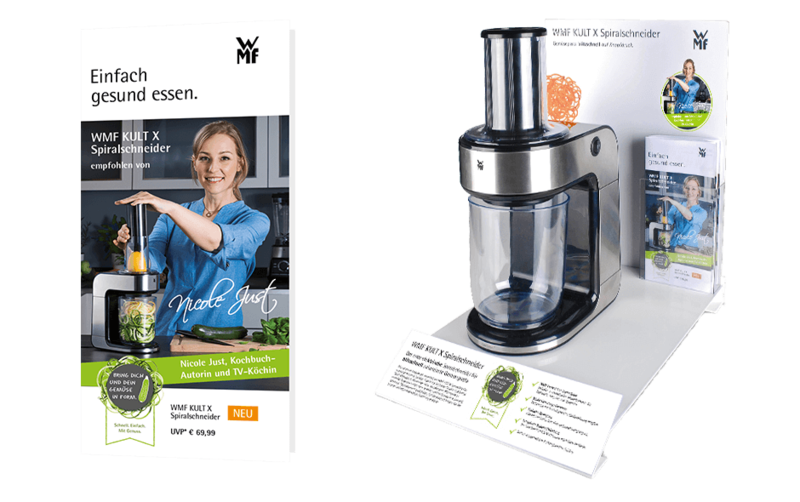 Product launch for the WMF KULT X spiral cutter as a trend product for vegan kitchens. 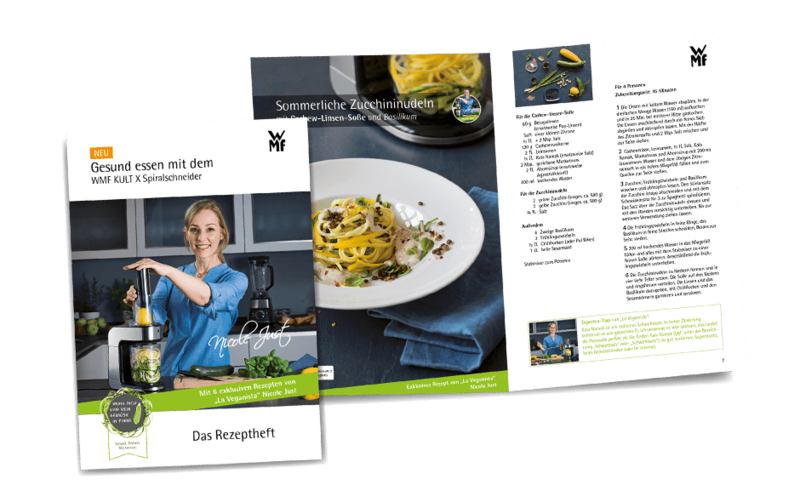 POS presentation including product brochure and recipe booklet with a testimonial by blogger and TV chef Nicole Just. 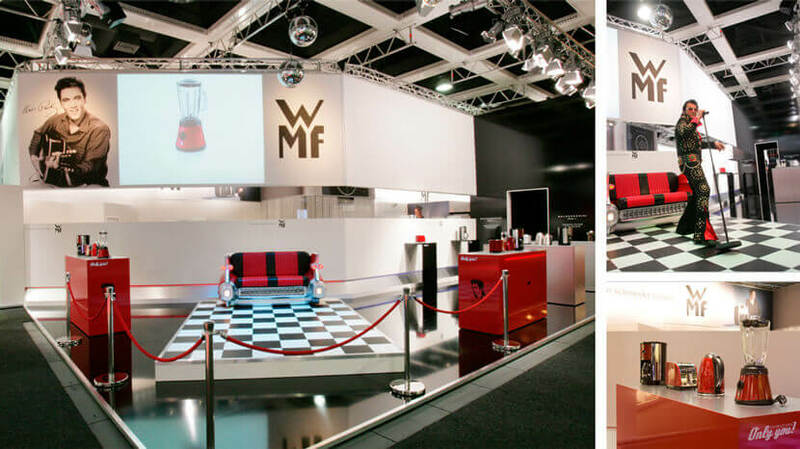 Elegant, minimalistic design and clear styling – that’s what WMF is known for. We emphasise this with appropriate product photography. Food shots with taste appeal. Food photography at its finest – deliciously presented. 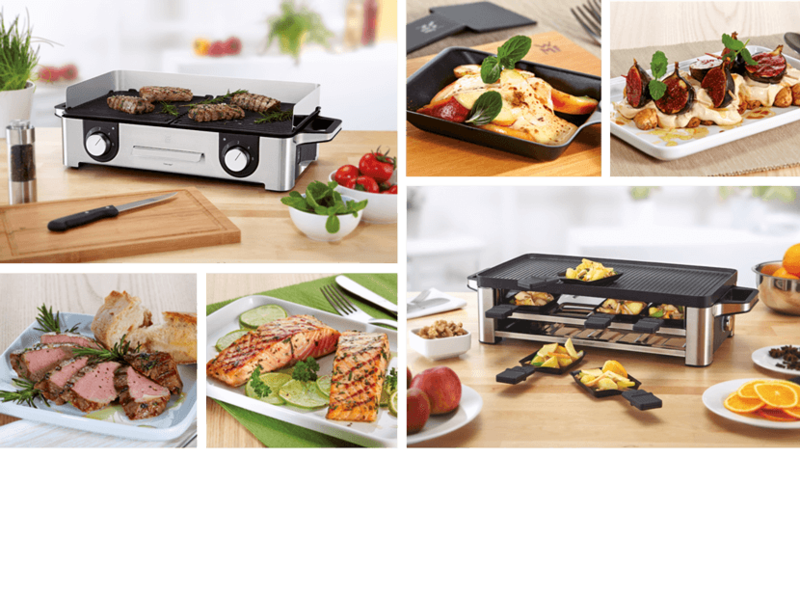 Such as the tasty recipes included with the WMF table and raclette grill. A loud appearance at IFA 2011 to launch WMF CE and introduce the Only You series with a star factor: Elvis as the protagonist and figurehead.